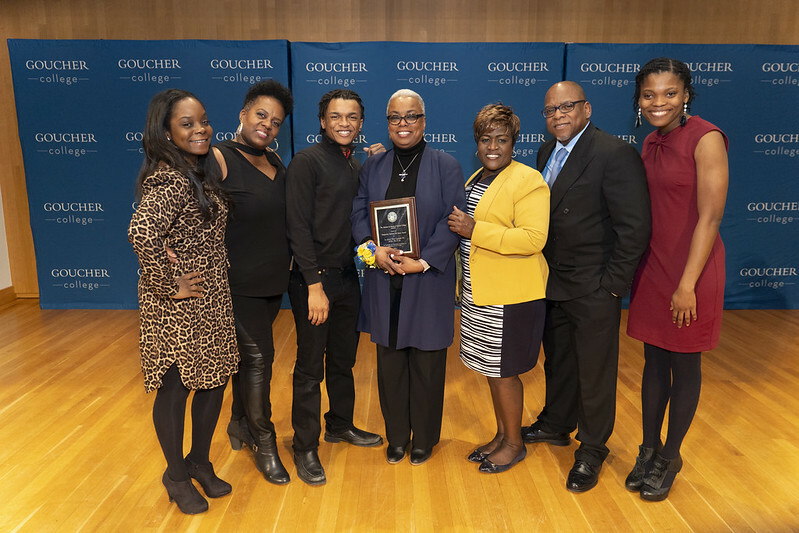 Named in honor of Jewell Robinson—actor, writer, producer, and the first African American student admitted to Goucher College—the annual Jewell Robinson Dinner brings together members and friends of Goucher’s African American community in the spirit of celebration, reflection, and fellowship. Thanks to all who attended our 13th annual dinner this year. Congratulations to the 2019 Marguerite Barland ’60 Merit Award recipient, La Jerne Terry Cornish ’83, M.Ed. ’94, P’18! If you have questions regarding the dinner, the Barland award process, or would like to help plan next year's event, please email Jen Pawlo-Johnstone at jennifer.pawlojohnstone@goucher.edu.